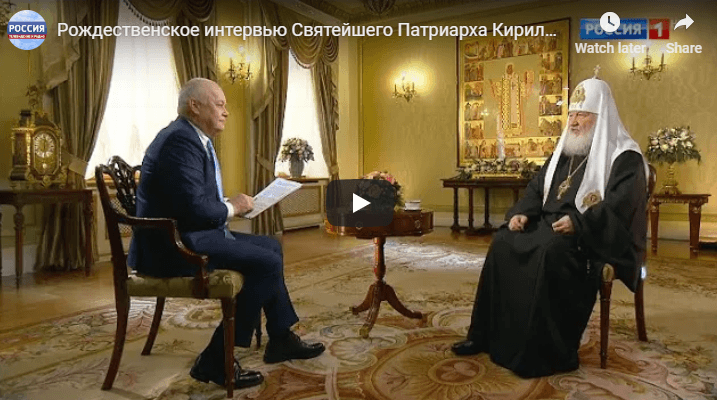 As the Apocalypse evolves to its end stages, the head of the Russian Orthodox Church and all Rus’, Patriarch Kirill had issued an ominous warning to Russians on state TV. as if it was taken out of an updated version of George Orwell’s 1984 but with a religious twist. Kirill had said in an interview Monday that the data-gathering capacity of devices such as smartphones risks bringing humanity closer to the arrival of whom the Christians call the Antichrist who will control the world from the internet. “Control from one point is a foreshadowing of the coming of Antichrist, if we talk about the Christian view. Antichrist is the person who will be at the head of the world wide web that controls the entire human race,” he said. He emphasized that the Russian Orthodox Chruch does not oppose technological progress but is concerned that “someone can know exactly where you are, know exactly what you are interested in, know exactly what you are afraid of” and that such information could be used for centralized control of the world. Официальный канал ток-шоу “60 минут”. Ток-шоу с Ольгой Скабеевой и Евгением Поповым. В социально-политическом ток-шоу каждый день ведущие и гости программы обсуждают главную тему текущего дня. В студию приглашаются политические и общественные деятели, эксперты по актуальной проблематике. Frorence Scovel Shinn wrote a book ”The game of life and how to play it”, in 1925. I read it at internet archives and listered to it, too. 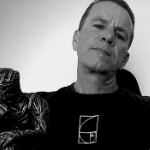 Dr. Ian Stevenson, Dr. Jim Tucker and others have proven reincarnation to be a fact. There is a dead man coming back. I received a email from You. ich weiß, dass mich jeder im Internet verfolgen und lesen kann, was ich schreibe, unabhängig davon welche tools ich zur Verschlüsselung, zur Sicherheit oder zum Virenschutz benutze. Alle diese Softwareprogramme zum Schutz meiner Identität sind ein umfangreiches Geschäftsmodel, um den Reichtum vermögender Firmen zu erhöhen. Ich bin zu arm, um weiteres Geld in meine Minimalausrüstung für den Internetzugang zu investieren, zumal die Nutzung zusätzlicher Software oft auf die Dauer von einem Jahr begrenzt ist oder durch Updates ständig geändert wird. Die Überwachung des Internet ist perfekt, und deshalb tue ich nichts Unerlaubtes im Internet. ( Vom US-FBI bekam ich vor vielen Jahren einmal eine Anfrage per Email. Wegen Belanglosigkeit beantwortete ich sie nicht. 😉 ). Jeder darf wissen, dass ich die Politik des Präsidenten der USA inc., D. Trump, seine Reden im WH-Office live im Internet verfolge, die regelmäßigen Artikel in den mehr als 1450 Schreiben der uSA uninc. Juristin Anna von Reitz und vieles Mehr an aktuellen US-Videos im Internet verfolge,. Gnostic Warrrior gefällt mir, und die Beiträge werde ich zukünftig im Internet regelmäßig verfolgen. Spiritual growth/inner battle is to eradicate fear…that said, one today must be aware of their surroundings and decide if it matters if whole world can know you went to grocery or visited your great aunt….if it matters not, just be aware of your surroundings. If yes matters , then put devices down . Use forethought as much as possible!!! Learn spiritual tools to overcome fears ! Overcome jealousy, overcome anger , resentment and hardly fear comes knocking! Go forth and do good! The “Bible” is the foundation of neurotic fictions. There is no dead man coming back. Do u believe the world will end eventually or not? It’s in the Bible and it’s inevitable . Moe on Who is the Antichrist?